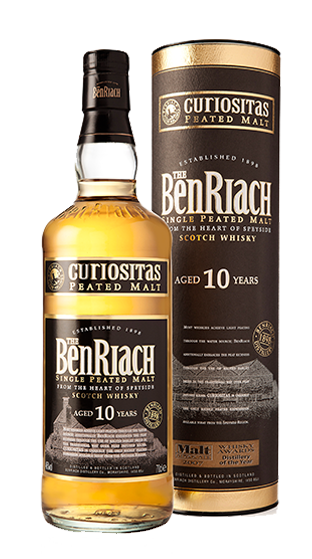 Tasting Note: A rare peated single malt, BenRiach Curiositas is distilled from heavily peated malted barley as the cereal varietal to produce a unique, fresh, peated expression. In fact, peated BenRiach is a return to the original Speyside character and flavour of malts typical of the nineteenth century. Bottled at 46% and non-chill filtered.